In our article on the subject of fascinating Ancient Egyptian inventions, we talked about how some of them “intrinsically related to personal hygiene, health, and even fashion”, ranging from eye makeup, wigs to breath mints and toothpaste. Pertaining to the latter, the world’s oldest known formula for a toothpaste unsurprisingly comes from Egypt. To that end, a papyrus dating from circa 4th century AD contains the recipe for what had been described by the ancient scribe as ‘powder for white and perfect teeth’ that transformed into a ‘clean tooth paste’. And quite interestingly, the ingredients were written in black ink (made of soot and gum arabic) – incidentally, another invention of the ancient Egyptians. Now judging by the date of origin of this papyrus, it should be noted that the document was written in Greek – the language preferred by the local elites since the time of the Ptolemaic dynasty (305 BC – 30 BC) and later Romans (30 BC – 641 AD). As for the ingredients and their measurement, the more than 1,500-year old recipe called for one drachma (one-hundredth of an ounce) of rock salt, one drachma of mint, and one drachma of the dried iris flower, all mixed with around 20 grains of pepper. According to the document, the composition should form a paste-like consistency when in contact with the saliva of the mouth. Nobody in the dental profession had any idea that such an advanced toothpaste formula of this antiquity existed. I found that it was not unpleasant. It was painful on my gums and made them bleed as well, but that’s not a bad thing, and afterward, my mouth felt fresh and clean. I believe that this recipe would have been a big improvement on some of the soap toothpastes used much later. 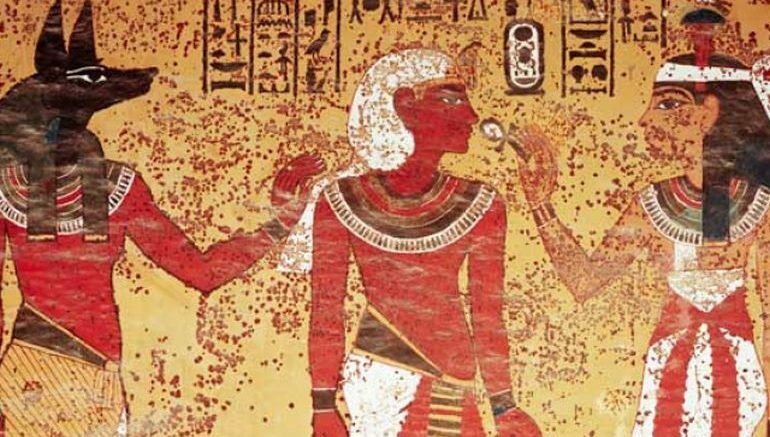 Egyptians are believed to have started using a paste to clean their teeth around 5000 BC, before toothbrushes were invented. Ancient Greeks and Romans are known to have used toothpastes, and people in China and India first used toothpaste around 500 BC. Ancient toothpastes were used to treat some of the same concerns that we have today – keeping teeth and gums clean, whitening teeth and freshening breath. 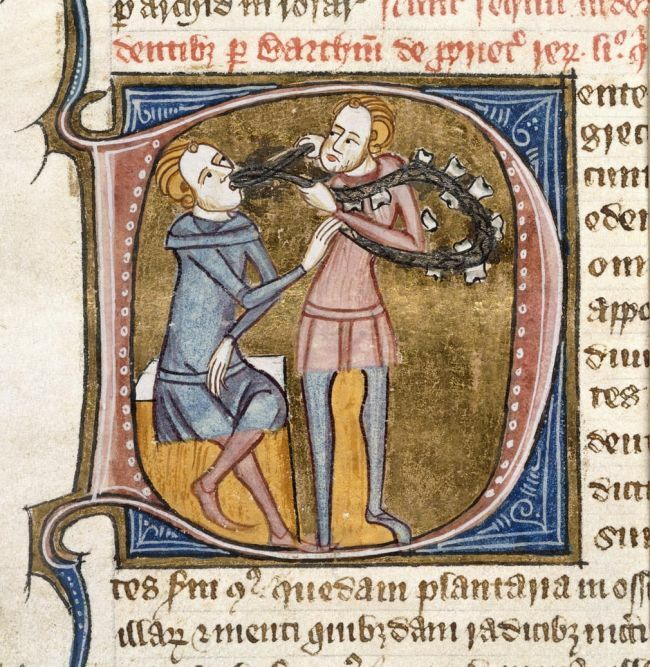 The ingredients of ancient toothpastes were however very different and varied. Ingredients used included a powder of ox hooves’ ashes and burnt eggshells, that was combined with pumice. The Greeks and Romans favored more abrasiveness and their toothpaste ingredients included crushed bones and oyster shells. The Romans added more flavoring to help with bad breath, as well as powdered charcoal and bark. The Chinese used a wide variety of substances in toothpastes over time that have included ginseng, herbal mints, and salt. …take walnut shells well cleaned of the interior rind, which is green, and…rub the teeth three times a day, and when they have been well rubbed…wash the mouth with warm wine, and with salt mixed in if desired. Take burnt white marble and burnt date pits, and white natron, a red tile, salt, and pumice. From all of these make a powder in which damp wool has been wrapped in a fine linen cloth. Rub the teeth inside and out. Take some each of cinnamon, clove, spikenard, mastic, frankincense, grain, wormwood, crab foot, date pits, and olives. Grind all of these and reduce them to a powder, then rub the affected places.